Press Room Accessories - Production Resources, Inc.
Production Resources distributes a complete line press room accessories to improve the metal stamping process. The accessories complement our complete line of presses, feeds, automation equipment, quick die change, point of operation guarding, and conveying equipment. Our press room accessories include: hydraulic shock dampers, stock/scrap cutters, die lights, shock/vibration mounts, rotary limit switches (cam switches), and stock nibblers. Our accessories line can help you reduce press damage and press repair cost, better handle scrap and recapture scrap material value, improve die setup, and optimize press operation. Our Application Engineers are available to provide you personal assistance in selecting the right press room equipment to make your parts efficiently and safely. We have a qualified team with extensive experience in metal stamping. 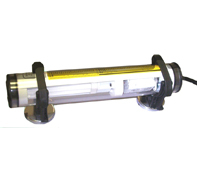 W-Technologies Hydraulic shock dampers to prevent/control press snap through shock loads; thereby, reducing expensive press repair and downtime. Rapid-Air stock cutters/choppers for cutting coil stock and skeleton stock at the end of a progressive die or similar process. 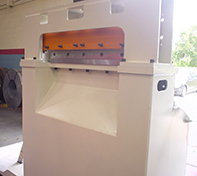 Our flat or round stock cutters can also be integrated into a complete cut to length line or integrated with existing equipment to complete a cut to length or cut off operation. Coe Press Equipment heavy duty hydraulic and pneumatic shears handle cut-to-length and scrap chopping applications. These shears are custom designed to suit specific application needs. They are available to cut mild steel and other metals at widths ranging from 24″ to 84″ at material thickness to up to .250″. Our Inmark die lights are ideal for increasing visibility at the point of operation to assist in setup, trouble shooting, and die maintenance. The die lights are available in a variety of sizes and optional magnetic mounts. They are easily located in place and are shock and lubricant tolerant. 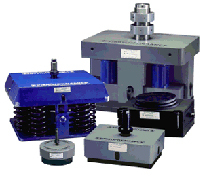 Vibro/Dynamics shock, vibration, and leveling mounts are designed for power presses and similar machines. Leveling the press prevents stressing the frame and other drive components. This reduces maintenance, increases press life, and often results in improved part quality. The shock mounts also reduce the amount of shock and noise transmitted to surrounding areas and structures. Kamco electro mechanical adjustable rotary limit switches (cam switches) are used to precisely time/energize electrical devices to a machine stroke or cyle. 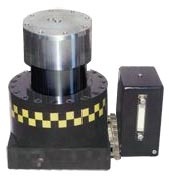 When used with power presses the rotary limit switch (RLS) may be used to set press control timing such as automatic upstroke timing or top stop position; feed advance/pilot release timing, control part blow off, and in die lubrication timing. 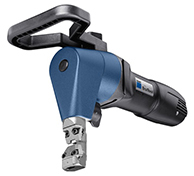 TRUMPF electric hand held stock nibblers are power tools that allow set up people to quickly cut a clean square edge on coil stock to facilitate threading material into a powered stock straightener or die. Nibblers are often mounted overhead of the stock reel on retracting cables to make them quickly available to operators. A variety of models are available to material thicknesses. 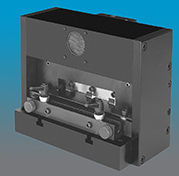 PRI distributes Hyson cushions and knockout systems for mechanical and hydraulic presses. These products can be quoted for new presses or as retrofit solutions to existing machines. Hyson nitrogen and hydraulic cushion designs feature more force in less space, compared to conventional air cushions. 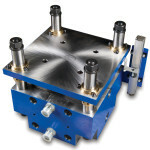 Hyson offers a wide variety of cushion models and types to suit your specific application.